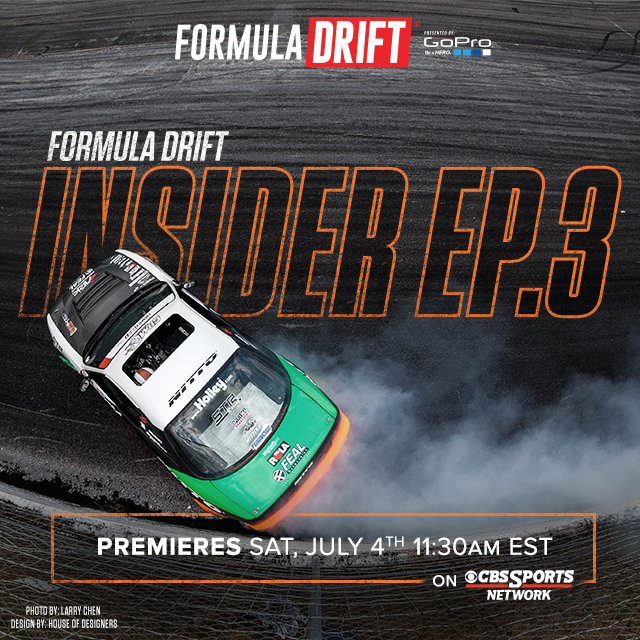 Again we have the opportunity to look closely at the major championship of the world Drift, Formula Drift, this time in Orlando Speed ​​World Drift where an event of this level will be held for the first time. Wall Speedway in New Jersey has become a staple on the Formula Drift schedule, and the 33-degree banking is the most dramatic on the circuit. The uneven guard railing that lines the top of the bank can rip apart a car in a second, but drivers love to test the limits. New Jersey marks the middle point of the seven round Formula Drift USA schedule, and many championship chases have been curbed via carnage at the track in years past. The course is a play on a figure eight, and somewhat similar to the Orlando layout just in smaller scale. Drivers take off from the start line and enter the first turn clockwise around the banked track, asked to push their bumpers as close to the guard rail as possible. Before they cross the traditional start finish line, drivers transition off the bank and onto the flat bottom with a switchback before entering the second turn also in clockwise orientation. After pushing their car as far outside on the flat apron without putting a tire onto the bank, drivers switchback once again on the backside of the track before rounding out the track on the apron of the first turn. With three outside clipping zones and a pair of switchbacks, the small track is easily viewed from anywhere in the stands and tends to provide close tandem. In qualifying, Ken Gushi topped the qualifying charts for the second consecutive event with a score of 93, while his Scion Racing teammate Fredric Aasbo earned the same qualifying score but lost the tiebreaker due to a lower style score. Justin Pawlak pushed his Ford Mustang into the third place qualifying position, with Pat Goodin and Kenny Moen rounding out the top 5. In case you missed the event or the live Formula Drift Driftstream, here’s a play-by-play of how the top 32 tandem battles shook out. Gushi Lead: Gushi initiating as the number one qualifier for the second straight event, Hamilton isn’t giving him any room! Gushi is high on the bank, just like in his qualifying run, but Hamilton keeps it close through the entire course. A small steering bobble from Gushi, exiting the second outer zone, but otherwise a smooth run for both drivers.